Futuristic isn’t it? This is the Lit C1 by American innovators Lit Motors and it has been around on the net and on paper or illustration for quite a while now. Recently, the real thing was unveiled in reality and in action. It can be seen through the video by lit motor’s themselves. Looks like a motorcycle, have two wheels like a motorcycle but then it has other characteristics that is nothing like a motorcycle. The door, the steering and some other stuff. We are not sure what to expect from this “thing” as it doesn’t really defined as a pure motorcycle nor a car. 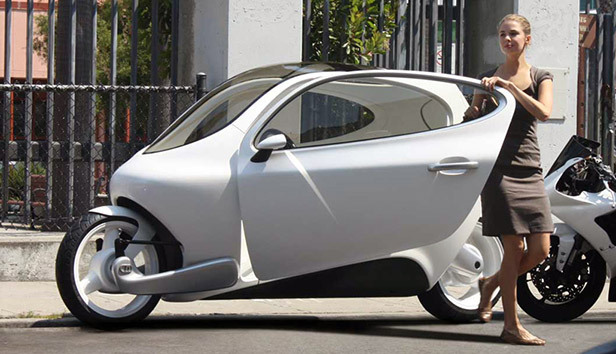 It simply just futuristic vehicle that probably aims at the tech savvy and eco friendly audience. The creator of this futuristic vehicle aims the price when debut to be around USD24,000 or around RM76,560 with direct exchange rate. They also stated that the price may be reduced after a while seeing on how the sales of the vehicle itself. Whatever happens, It is still quite a while before we can even see it physically here in Malaysia and when it does come, we’re all wondering if it will ever be successful here.